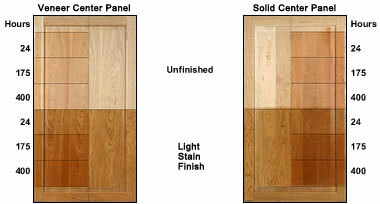 Natural sunlight contains Ultra Violet (UV) light rays that may affect the appearance of your cabinets. 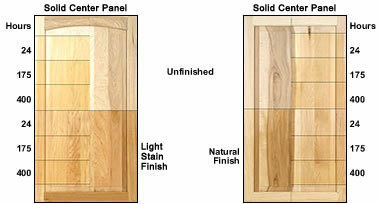 Merillat wood types and finishes are tested so that you may be able to determine the approximate effect that UV rays may have on the cabinetry in your home. 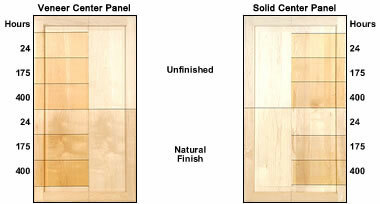 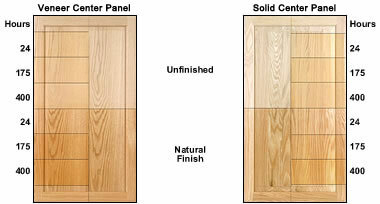 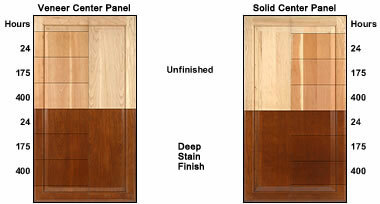 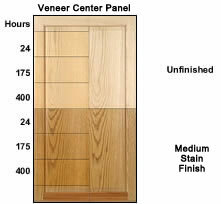 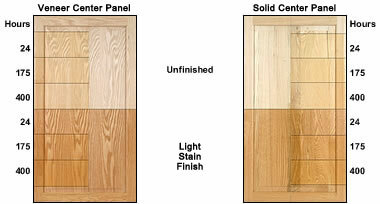 UV inhibitors have been applied to all Merillat cabinetry. 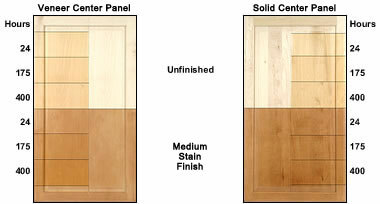 With varying exposure to UV rays, and over time, color variations will occur.